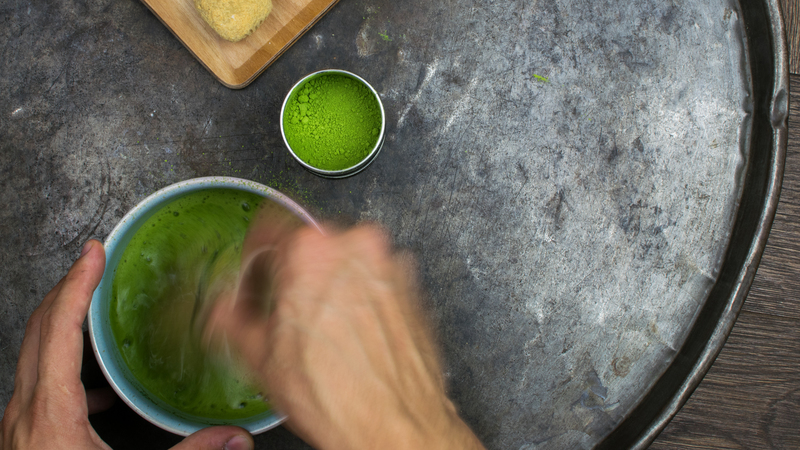 A brief introduction how to make the most out of your Matcha powder and what do we need for the preparation. All of the necessary accessories are available in our shop, also online. The chawan was especially made for us by Kezemura pottery Budapest. Before touching the tea, we should pour hot water into the chawan so as to warm it up and soak the chasen, also in hot water, in order to tenderise the whisk’s threads. Then comes the tea. First the powder needs to be sifted, as it tends to form small lumps that prevents even mixing. This is a very important step, if not the most important one, for the sifted tea makes two-three times as better foam as an unsifted one. 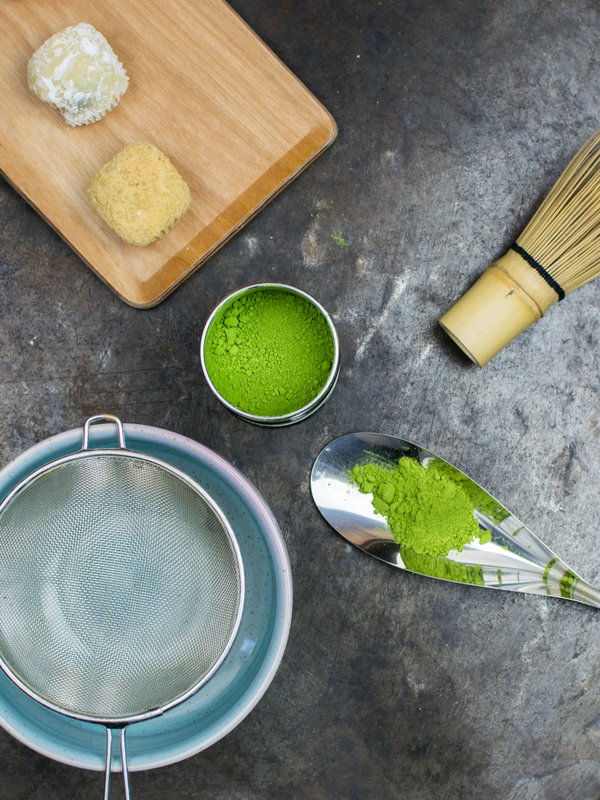 Now, 80 ml of 85C water should be added to 2 grams of the sifted matcha powder, and mixed with gentle 8-shaped movements into a homogeneous substance. Then with quick hand movements, as though whipping egg whites, the tea is to be beaten into a foam, similar to milk foam. The result is an emerald-coloured, smooth liquid with a rather intense greenish flavour and a sweet, lightsome, jade like foam – the bigger the foam the better the tea. In our teashop at Lánchíd utca, Budapest, we are ready to prepare our Matchas for our guest, you can also learn the making method from us here. 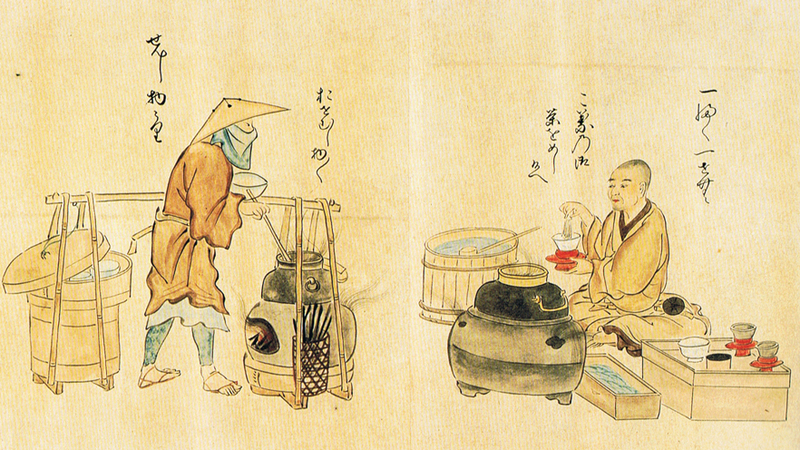 Contrary to popular belief, consuming tea as a stone-ground powder is not an exclusively Japanese tradition. During the Song dynasty (960-1279) this tea drinking custom enjoyed great popularity in China. And it just happens so that the well-known Eisai priest, who is credited with introducing tea and zen to Japan after his trip to China at the end of the 12th century, also prepared the tea in this method – and so began the history of Japanese matcha, the finely ground powder of shade-grown green tea. On the tea market there are two categories of matchas: culinary and ceremonial. 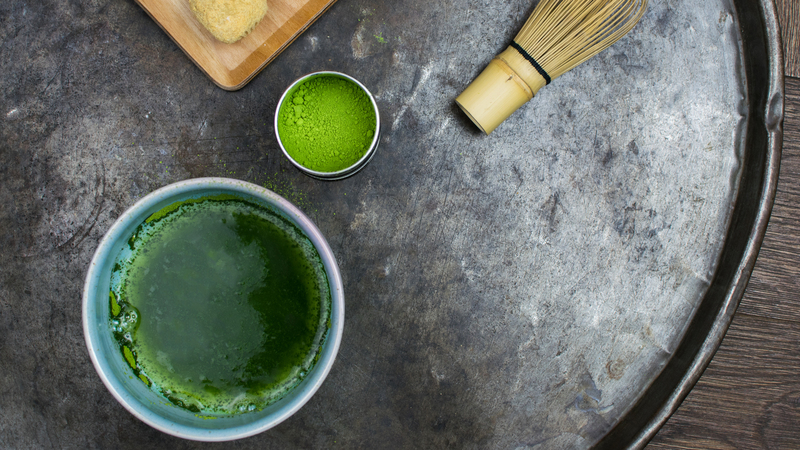 Despite our myriad connections to gastronomy, we exclusively focus on ceremonial matcha. 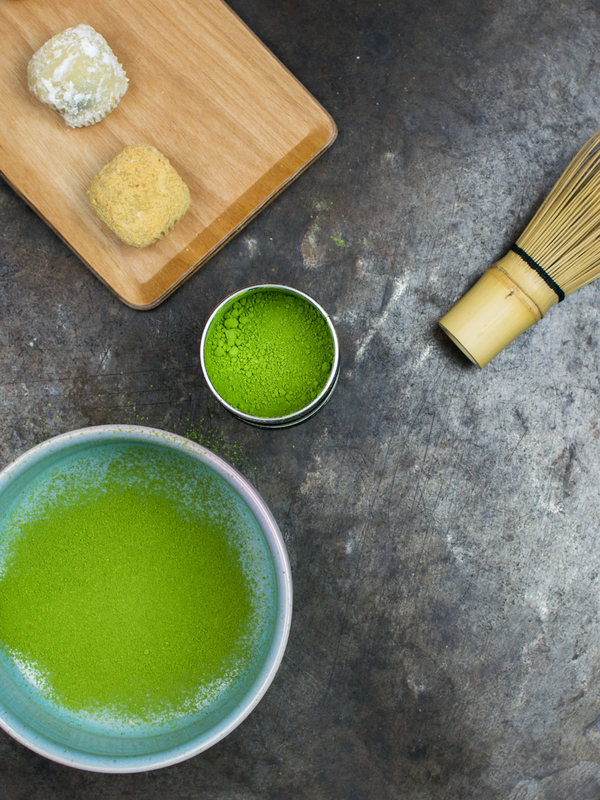 This category can be divided into two further subcategories: Usu-cha (薄茶) or thin tea, and Koi-cha (濃茶) depending on the amount of matcha powder being used. 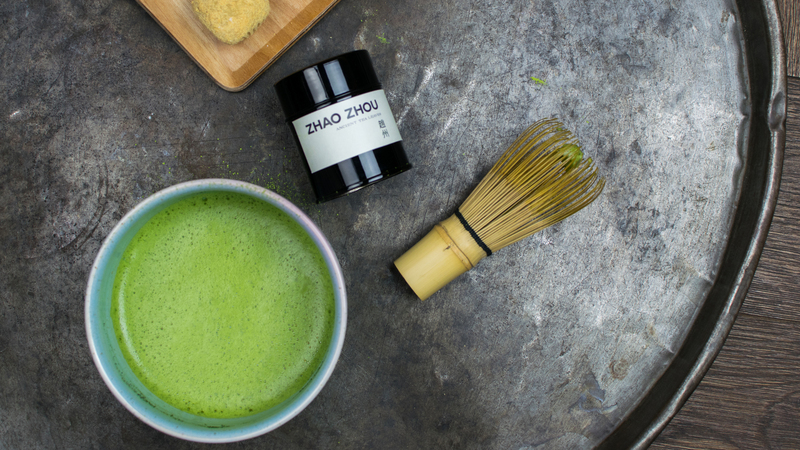 In tea ceremonies matcha is prepared in both styles. Usu-cha serves as an “aperitif” so as to enhance the importance of Koi-cha. While the first one is usually served one chawan per person, the latter, being a highly appreciated beverage, is shared by three or four people. Traditionally Usu-cha and Koi-cha were not only different in preparation but also in quality. The high-grade koi-cha was wrapped in paper and stored in porcelain vessels, and the low-grade usu-cha served as a sealing in order to provide good conditions for the koi-cha.